Weedhead winos among us, rejoice: The legal-marijuana future is nigh, and the opportunities for a wine-like cannabis culture are endless! This fall I was on one of many 30th-birthday-wine-country-bingefests up in Napa. The field was aglow, the flight of wines was delectable, and all I can remember thinking was, Damn, why can’t I do this with a joint in hand and have it be equally socially acceptable? Where are my upscale destination-based tasting rooms, cool, cavernous smoke spots lit with the perfect dimness for keeping terps intact? In answer, my friends, I give you my musings on what the California wine industry can teach us about the future of cannabis consumption—tempered by a cannarealist voice in my head. As we saw with moscato, rosé, and thanks to Titus Andromedon, pinot noir, pop culture influences popular taste in wine, whether subliminal or conscious. Once someone famous with radio play, a catchy song, or the power of Tina Fey’s amazing writing drops the name of a popular wine, sales skyrocket, often in contradiction of what “experts” tout as the flavors of the month/year. We’re already there in some respects with weed: rappers like Berner touting the ever-elusive Cookie Fam’s strains including the increasingly popular Girl Scout Cookies take an already limited supply of flower from coveted to must have. While we are all familiar with popular, widely bred strains such as Blue Dream, Purple Kush, and the like dropped in songs over the years, we’re due for a spike in popularity more elusive strains as more states come online, and the rest of the nation catches up to where the West Coast has been for many growing seasons. In addition to pop cult figs giving us all the feels for strains not necessarily tied to any particular rating, we’ll see a rise in proprietary, branded, controlled distribution “cult” strains—where access is limited, the weed loud, and rumor abounds. So, too will we develop an appreciation for the families tied to the products we consume. California’s legislature reportedly crafted a set of laws creating our regulatory system—the Medical Marijuana Regulation and Safety Act (MMRSA)—to encourage and protect small businesses. I imagine that in a legal, open marketplace we’ll see the development of storied family operations known for their multigenerational cultivation on the farmlands of our state, where the passing of a patriarch makes mainstream news coverage. Let’s be real. We all started our drinking careers as young adults with some pretty garbage selections. I vividly remember gleefully taking my fake ID with me to Safeway as a freshman (California is a wonderful place for a college kid) and filling my cart with all the schnapps. From there I graduated to Bacardi and Cuervo, but for those wine drinkers among us, we all remember the Rossi and two buck Chuck days of yore. Well, there’s definitely a space in cannabis for the unrefined palate. Try as we might to cultivate a cannaseur culture, there will always be those who want to get lifted as cheaply as possible. 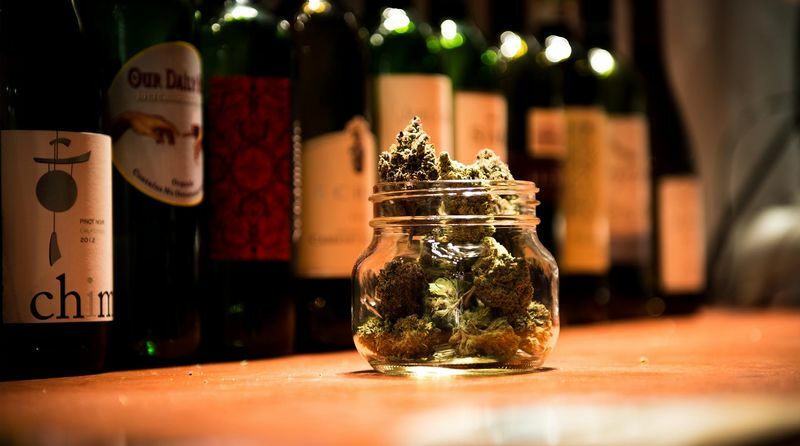 There's a time and a place for cheap wine; the same goes for weed. Like wine, weed will rely on origin stories to move it off the shelves. For those of us in California, appellations of origin are coming, along with truth-in-labeling laws—so you’ll know your Mendocino sun-grown cookies are really from Mendo and from a cookies clone. Maybe you’ll discover that you love bottom-shelf shake as much as you like your top-shelf nugs! Weed parings, like wine pairings, will be the wave of the future. From weed humidors, to snazzy scent-sealing purses, to liquid formulated to clean your pieces—we’re seeing an emergence of long-awaited, much-needed solutions to everyday stoner consumers' perceived needs. We’re going to need more articles and reviews on whose strains and seasonal flowers are best consumed at which time of day, and in what sort of ambiance, with recommendations for a still brunch spot known for its citrus taste craft-weed aperitif offering a subtle uplift in mood and alertness to start my Saturdaze off right.